Proteinuria and renin-angiotensin-aldosterone system inhibitors are independently associated with a significant 6-fold increased odds for anemia in patients with diabetic nephropathy. The following article is part of conference coverage from Kidney Week 2017 in New Orleans hosted by the American Society of Nephrology. Renal & Urology News staff will be reporting live on medical studies conducted by nephrologists and other specialists who are tops in their field in acute kidney injury, chronic kidney disease, dialysis, transplantation, and more. Check back for the latest news from Kidney Week 2017. NEW ORLEANS—Malnutrition and abnormal calcium-phosphate metabolism are risk factors for for anemia for patients with diabetic nephropathy (DN), according to new study findings presented at the American Society of Nephrology’s Kidney Week 2017 meeting. Anemia developed in 72 of 156 patients with DN from type 2 diabetes not on dialysis, Andreea Andronesi, MD, of Fundeni Clinical Institute in Bucharest, Romania, and colleagues reported. The mean hemoglobin (Hb) level in anemic patients was 10.5 g/dL: 39.3% had mild anemia (Hb above 11 g/dL), 57.1% had moderate anemia (8 to 11 g/dL), and 3.6% had severe anemia (below 8 g/dL). Although anemia prevalence rose with advancing chronic kidney disease (CKD) stage, even those with mild stage 2 CKD had low levels of Hb. Those with a longer history of DN were more likely to develop anemia. In a case-control comparison of the 72 anemic and 84 non-anemic patients, Dr Andronesi’s team found that anemia correlated with malnutrition and abnormal calcium-phosphate metabolism. Patients with anemia had significantly lower body mass index (27.4 vs 30.4 kg/m2) and albuminemia (3.4 vs 4.1 g/dL). Higher Hb values, in contrast, were strongly linked with greater albuminemia and higher estimated glomerular filtration rate. Abnormal proteinuria was associated with a significant 3-fold increased odds of anemia. Lower Hb was associated with abnormal calcium-phosphate metabolism. Anemic patients had significantly higher serum phosphorus (4.7 vs 3.8 mg/dL) and serum intact parathyroid hormone (81.2 vs 64.9 pg/dL) and lower calcemia (9.2 vs 9.5 mg/dL). In adjusted logistic regression analyses, the investigators also identified proteinuria and use of renin-angiotensin-aldosterone system blockers as independent risk factors for anemia. 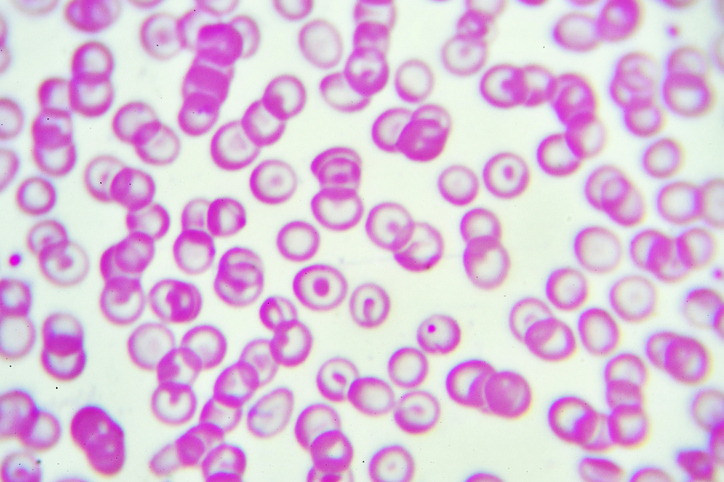 Both factors were associated with a significant 6-fold increased odds for anemia. The team is planning future research on possible factors, such as obesity, influencing anemia development in DN patients. Visit Renal & Urology News’ conference section for continuous coverage from Kidney Week 2017. Andronesi A. Risk factors for anemia in diabetic kidney disease. Data presented in poster format at Kidney Week 2017 in New Orleans (Oct. 31-Nov. 5). Poster TH-PO742. Natasha Persaud is the digital content editor at Renal & Urology News, a web site for urologists and nephrologists.